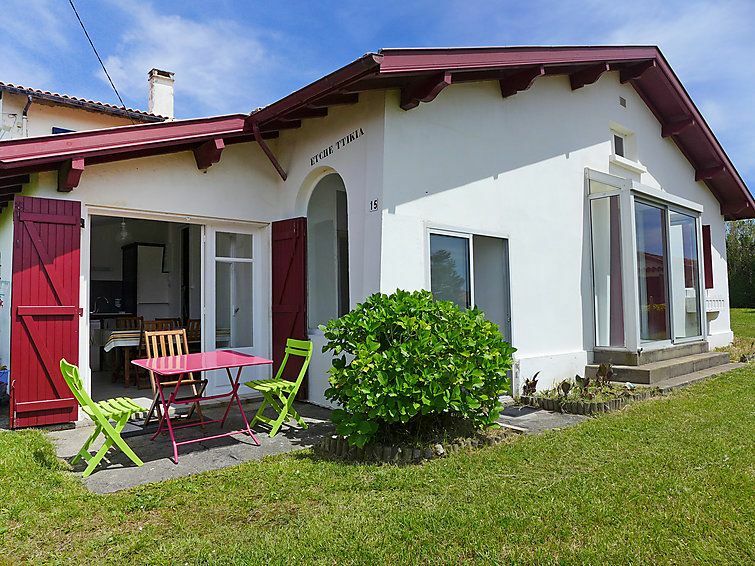 Bidart 9 km from St Jean de Luz: Single-family house "this property". In the centre of Bidart, 900 m from the sea, 900 m from the beach. Parking at the house. Grocery, restaurant, bar, bakery, café 500 m, bus stop 300 m, sandy beach "Plage du centre" 900 m. Golf course (9 hole) 3.5 km. Nearby attractions: Bidartparc 220 m. The keys‘ handover takes place by the agency Interhome in Saint Jean de Luz, 9 km.